If you are looking for Android development consultants in the Toronto area, you have come to the right place! Connexinet has been involved in mobile application development since 2004 when there was no iPhone, Android and mobile wasn't hip! Over the years, we have developed many popular mobile apps that were either built for our clients or are available on the Android Market. In addition to mobile app development, we have built state of the art web applications using Microsoft or Google technologies. 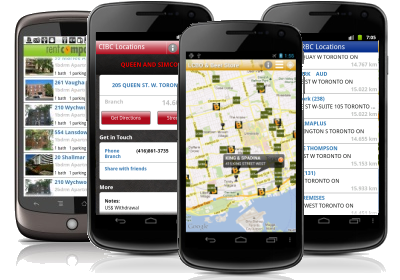 If you are looking for Toronto Apartments for Rent check out Canada's first rental listing service on mobile devices. This is in addition to the AJAX based website that packs tons of features which has earned Rent Compass media coverage by TV stations and popular blogs in Toronto. 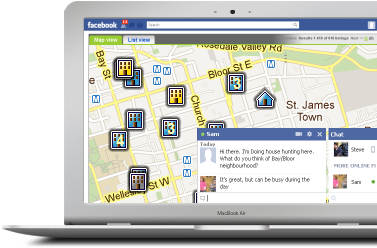 Check out the Android app for finding Rentals on the go, or the first Canadian application for finding rentals on Facebook. 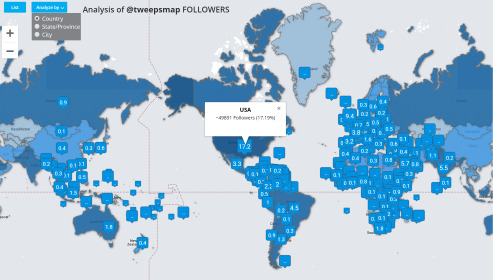 Featured on Mashable, TNW, BBC and many more Tweepsmap lets you map your followers by country, province/state or city. Nil: A high performance Ajax image viewing solution. Built as the next generation of medical imaging viewers, this project was adopted by few of the largest medical imaging companies in the world. LungPoint VBN: A virtual Bronchoscopic Navigation system. One of the most innovative solutions to aid bronchoscopic proecures. Nielsen Answers Web: An award winning web based market research tool. Nielsen is always famous for its leading research and market analysis tools, Answers Web makes this system the best in class by allowing the functions to be accessed across the web without requiring special installations. The fourth trimerster: a postpartum doula service in Toronto, supporting families through their first few weeks of having a baby. AdvanceKnowledge: Featured in Lexpert Magazine and touted as the leading edge knowledge management.